Home › Manga › Magic Knight Rayearth Review: Wait? I Have Seen This Before, Yet It Is Somehow Different. I feel like recounting my first expose to Shojo manga; thus drastically dating myself in the process. Starting as a ten-year old purchasing the first issue of Viz’s premier Shonen anthology magazine Shonen Jump, I grew accustomed to a boy centric pool of entertainment. But one day a few years later, after I started to pick up volumes, I bought a manga based solely on the giant robot on the back. That giant robot happened to be the Mashin, a robot suit belonging to magic knights, the lead characters in the manga Magic Knight Rayearth. Because I was in such a hurry, I did not realize that the TokyoPop release in my hand was in fact the sequel Rayearth II, which a lack of character introduction and a general unfamiliarity with nineties Shojo left the perhaps twelve year old me put off by my recent purchase. Many years have passed since then and I went back to discover that my original purchase was actually quite funny, so I think it due time to cover the original Magic Knight Rayearth from 1993. I try not to believe that anyone reading this comes in with an active knowledge on the things we cover on this site. Yet in the case of manga readers and the four woman team (thought to be led by a writer leading three artists) known as Clamp, it is pretty hard to let the words “Clamp who?” leave ones mouth considering that Clamp titles equaling double digits have been released. Since they are known for just so many recognizable titles, I tend to put them in the same category as billionaire Rumiko Takahashi where their more recent (keyword for popular now) works were but weaker reflections of their earlier output. Just contrast Clamp’s Man of Many Faces and Card Captor Sakura with Takahashi’s Urusei Yatsura and Maison Ikkoku and you have a comparison made in Heaven. The story starts, during a school fieldtrip to the top of TokyoTower, three middle school students named Hikaru Shidou, Umi Ryuuzaki, and Fuu Hououji, find themselves transported to an alternate reality called Cefiro. As they fall from miles up in the sky, they see an image of a young girl praying for them to come save her land. Right before they fall to their deaths a view filled with floating crystal mountains and smoldering volcanos passes them by, they are caught by a large Koi fish like creature in mid-decent. Their departure from the creature leaves them on the first leg of adventure. Guru Clef, an old in age but young in appearance sorcerer greets the three girls, catching them up to the current situation. He tells of the young girl who wished them to Cefiro, a Princess Emeraude whose existence is to pray for the lands literal peace. Thought to have been captured by her high priest Zagato, Princess Emeraude summoned the girls as magic knights, a qualification that seems to coincide only with being from a world outside of Cefiro. While Zagato’s sulks in the shadows, Clef sets Hikaru, Umi, and Fuu to create three distinct weapons with the help of his friend Presea the artisan, who will craft the weapons needed to unlock the sleeping Mashin, the only tools strong enough to beat Zagato. Queue the random monsters and fetch quest outings, for the girls have a world to save. Magic Knight Rayearth follows a trend in nineties Manga and Anime where the leads (to my experience, young girls) are transported to a Fantasy realm which they have been summoned to save. Flat out, that is what this manga is about, but what sets it apart is its execution. The focus is not really on monster fighting and world building (the world seems to be far too small to pull that off actually), but on the growing friendship between the three leads. 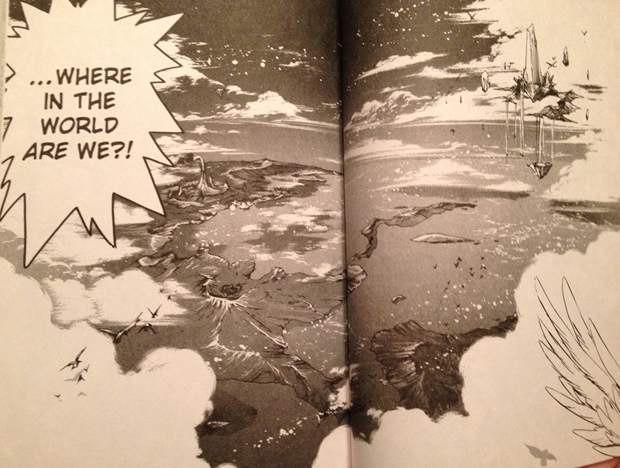 At an almost running pace (no chapter breaks will do that), Hikaru, Fuu, and Umi, while being written to stand out but not in a way that makes one girl more the lead then the others, with a save-the-world focus where the bond between each other is far more important than perhaps the driving narrative itself. It also helps that Fuu constantly compares their situation to an RPG game, so that at least keeps the story from going overboard. 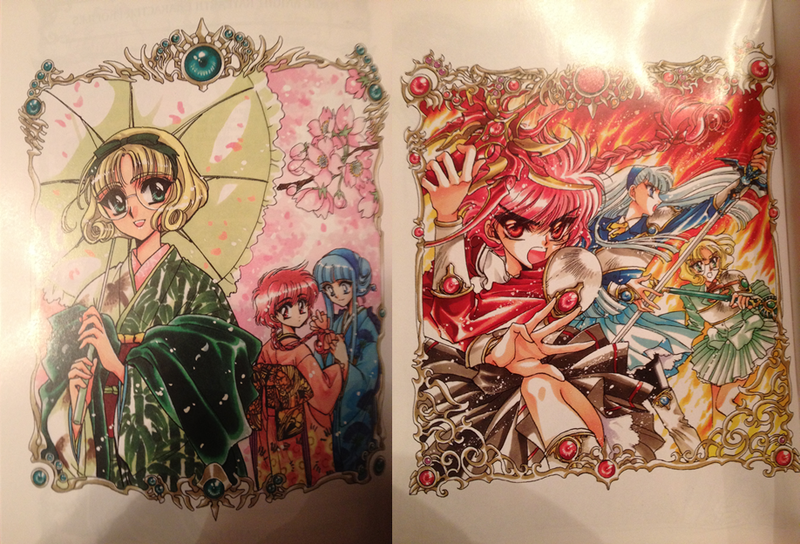 Clamp tried their hardest to keep their excellent artwork centered on the three elements representing Fuu, Hikaru, and Umi. With Fuu’s green wind element, Hikaru’s red fire element, and finally Umi’s blue water element, you see a color pallet and design focus ranging from their swords to their “yell name before using” magic attacks, all the way up to the Mashin themselves. 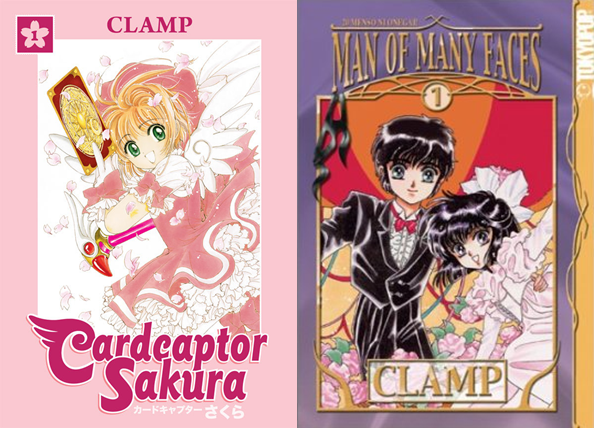 Added by their detailed but clean artwork, Clamp makes the girl’s visually distinctive, allowing it to stand out from the fantasy pack at least visually. Pros: It might look familiar on paper, but lightly tweaks the expected tropes and commonplaces found in Fantasy to make it stand apart. The story is casually crafted around three leads that are made to work as a distinct yes, but uniform trio; something that in all actuality is hard to pull off effectively. Attention to detail and top-notch artistry leave every panel just beautiful to experience. Cons: When constructing a narrative that can be viewed as one ten hour story from start to finish, dependence on pre-alternate reality exposition tends to sound forced. For instance, when the trio are loaned weapons, ranging from a bow, a fencer sword, and a broad sword, you are then informed that each one of these girls has a history of using said weapon (i.e. Fuu is on the archery team at school and Hikaru just happens to have parents who run a kendo school). The omnibus I have is a Dark Horse rerelease; you know those thick things where if you slap them against your hand they go THUNK. 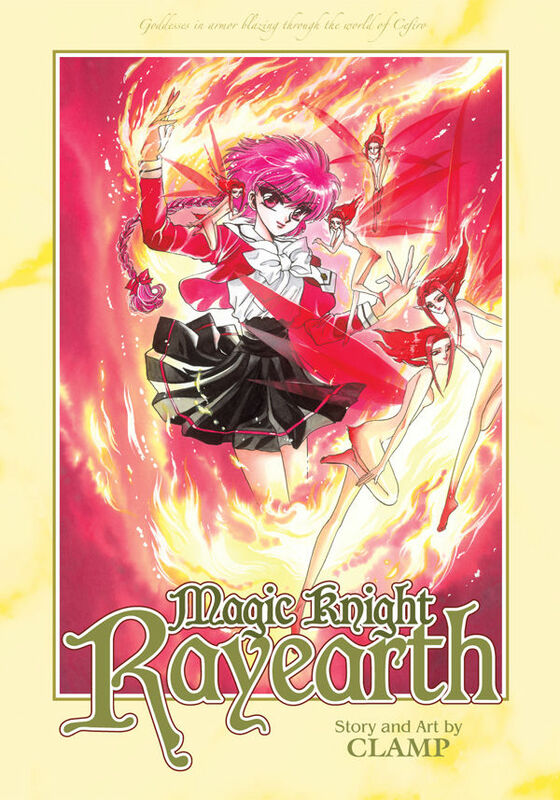 The original Magic Knight Rayearth is charming and engaging, what I prefer in my Fantasy; it uses elements readers are familiar with, but bends them in a way that stands out as unique. You owe it to yourself to buy this and marathon it so you too can agree with me that the story takes place over the span of just five hours.